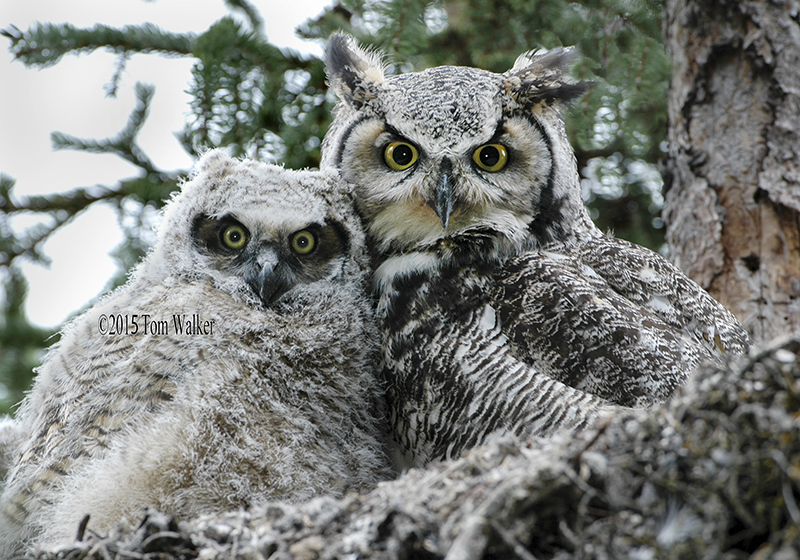 A Great Horned Owl in nest with its owlet. 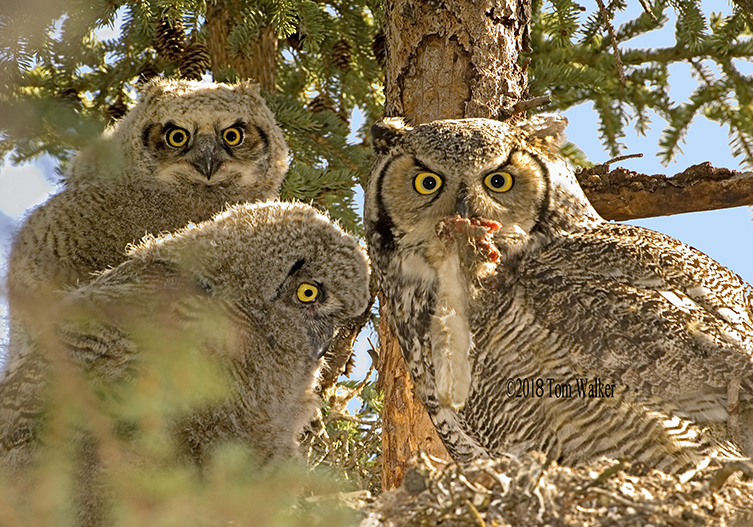 Image #0059. 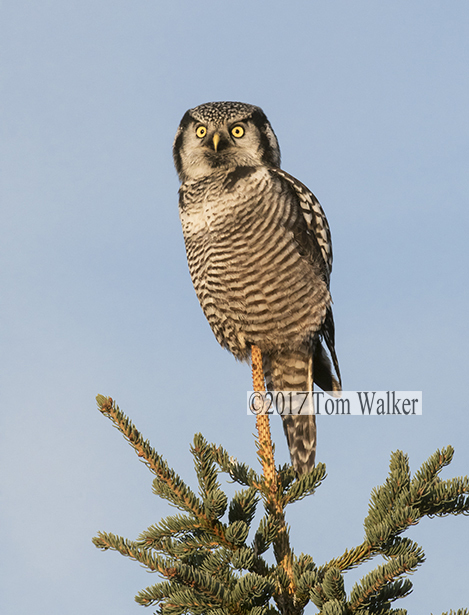 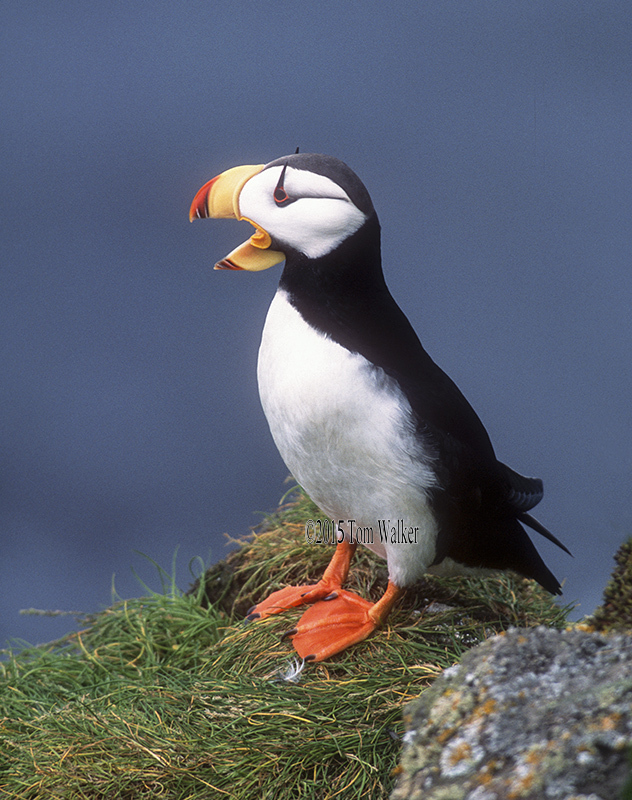 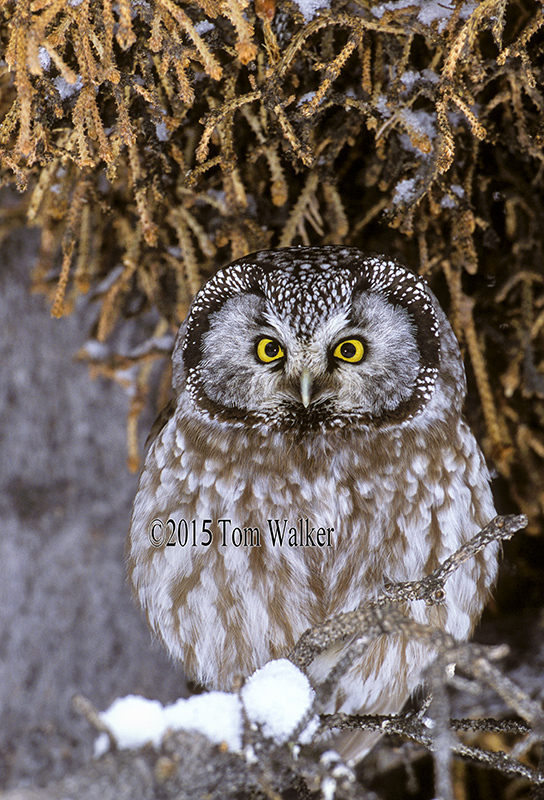 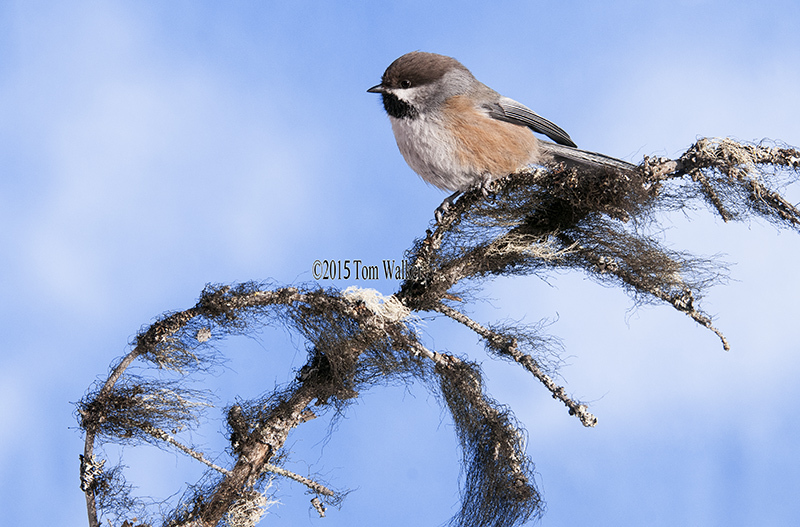 Northern Hawk Owl, Alaska, #0160. 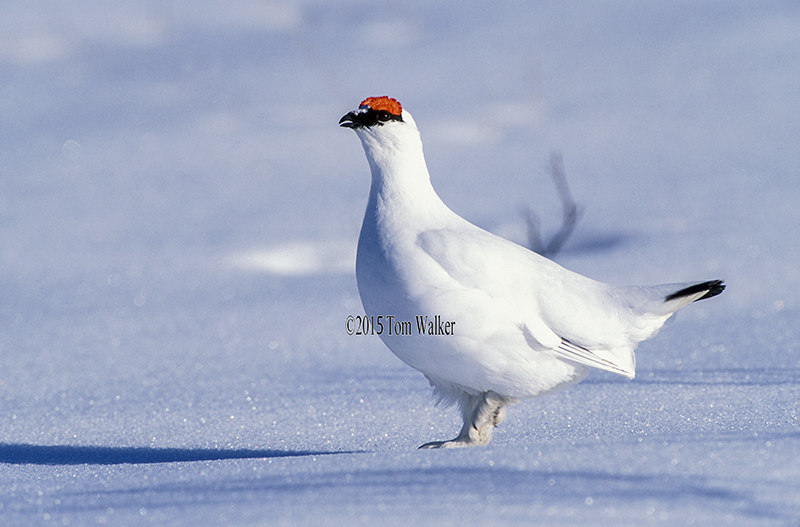 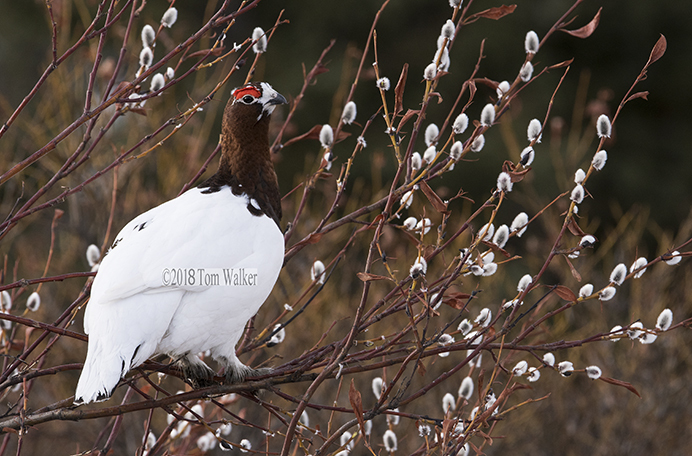 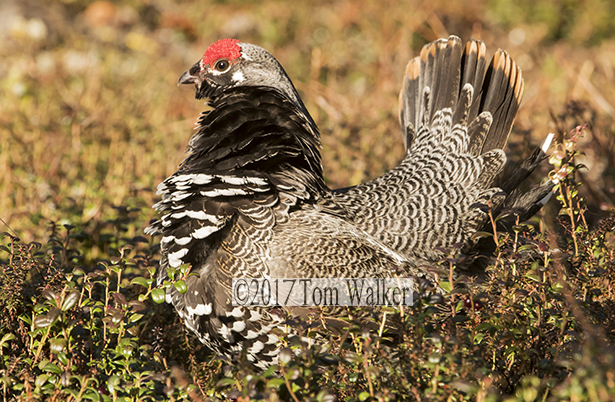 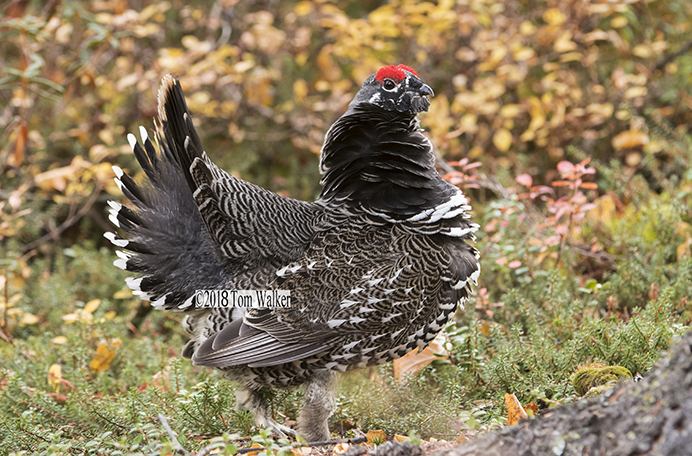 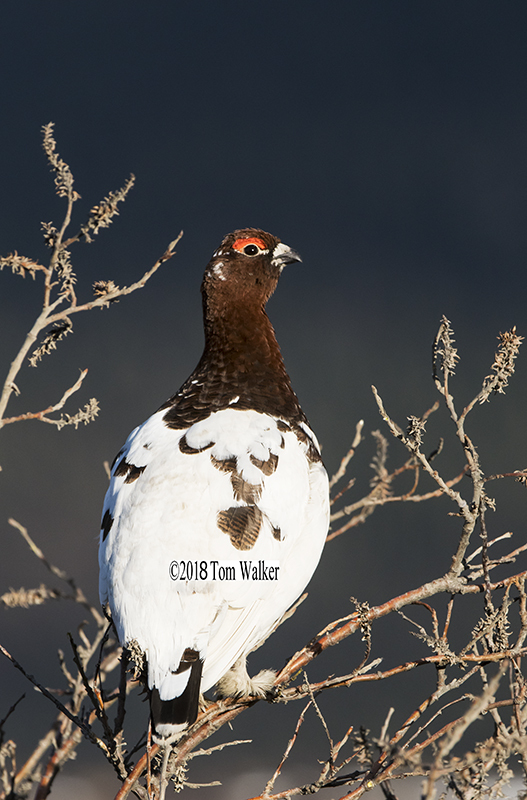 Male spruce grouse strutting in spring breeding season, Alaska.